Doug Nunneley is the General Manager of Oildale Mutual Water Company located in the City of Bakersfield. 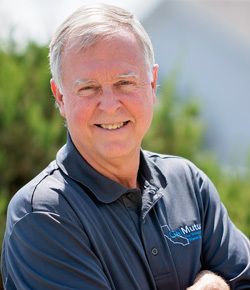 Doug has worked for Oildale Mutual Water Company, one of the largest mutual water companies in California, for over 40 years. Doug is also the General Manager for North of the River Municipal Water District, Chairman of the Urban Bakersfield Advisory Committee of Kern County Water Agency Improvement District #4, Co-Chairman of the Kern Integrated Regional Water Management Plan, and serves on the Water Association of Kern County Board of Directors. He has served on the CalMutuals Board of Directors since 2015.